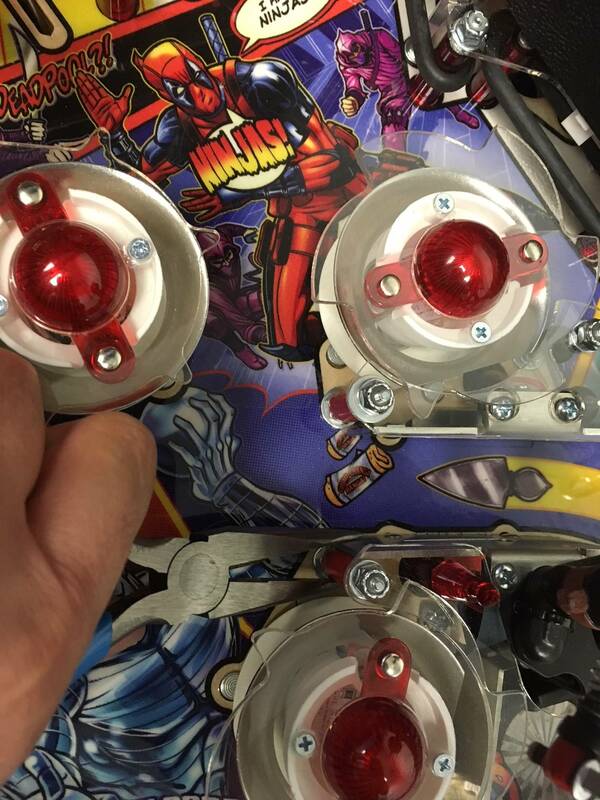 » Forum » Game manufacturers » Stern Pinball » Anyone else’s opinion changed on deadpool? » Anyone else’s opinion changed on deadpool? Anyone else’s opinion changed on deadpool? There are 57 posts in this topic. You are on page 1 of 2. When released I just didn’t care for deadpool at all! The other day I decided to give an LE on location a chance with the newest code installed and I had a blast! I typically would play IMDN more as I enjoy that game as well, however, I found myself only wanting to play deadpool. I went from never caring about that game to now wanting to own one. Anyone else have this change of heart towards this game? Ive liked it since release.... however in typical pinside fashion it had lots of hatred like most new releases.... even knowing it was basic early code. Then months later it starts gaining steam once more people play it and the code getting better. Same thing happens almost ever time a new pin is revealed. Those haters sld know how things work by now...however i think people just like something to complain about. I have mine on location and didn’t care playing it while I was there and always choose on of the other 5 to play. The software has improved this game a LOT! Guardians suffered of the same problem but is als very good now! 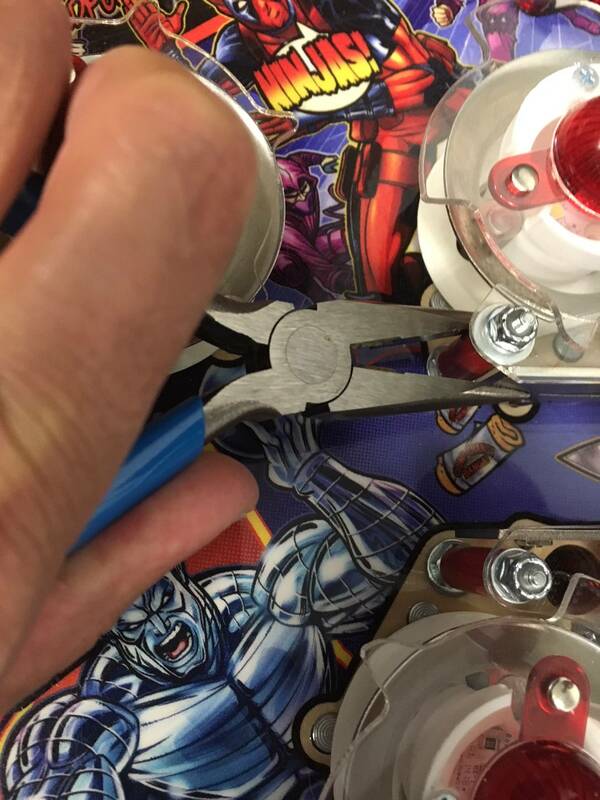 My general rule with Stern pins is to wait a year before I buy, I know you shouldn't have to and its would be better if a game released with full code and no fixes required but thats not the case, thats pinball. I used to buy upon release and since I adopted the 1 year wait premise I couldn't be happier. I recently put some good time in on a Deadpool pro and loved it. Not a theme I want to own but good game. I picked one (Pro model) up at a launch party and have bens happy from the beginning. My only criticism can’t be fixed with code. I’m an average, at best, player, and I can’t make the lock ramp very often. Overall, it’s a fun game with a good theme. I played a few on location and while fun, never once thought about owning one. I was selling my super mario pin locally and had a guy offer me Deadpool pro in a trade. Best decision I’ve made in a while. My wife has been asking to play every day. We are really enjoying Deadpool, so much so, I am looking for a premium. Yes it has improved but I still don't like it enough to own my only complaint is the snikt shot is to valuable. Nice! I like how your wife has to ask you to play your pins! Looks like I'm in the minority here, but I just can't get into it. I like that they tried something different with the layout, but I think it shoots poorly. Huh... I actually just updated my Deadpool rating. My opinion on Deadpool has definitely gone up with the latest few code releases. I think it's a fun game with a lot of potential. i played one at a bar in Portland Maine and unfortunately I couldn't hear the game because of the noise. Thought it was a fun game to play! Funny you posted this. I just posted in the owners group that when DP was released...I didnt care for it. I watched the stream and thought it was kiddish. I never gave it much more thought. I got to play on location, and holy hell....thought it was great! I read in tge ratings, the premium flows a little better with the left orbit....and the ball returns on the right ramp. All I know is it's making me a crap-ton of money on location. But it is a fun game to play when I do play it. It's my favorite location pin currently. I like how the shots feel different from any other Stern and I hear the code is getting better. I still don't know the rules well enough to judge. It may end up in my game room someday although Spike reliability is always in the back of my mind. I'd buy one tomorrow if it came with a set of spare boards! I just played a PRO version at ArcadeExpo at Banning, CA recently and must say.... The code has matured since the release and in the right direction. It was satisfying on most shots... I like the mode that combines fighting one of the characters plus having to hit the Deadpool drop targets. Its nice having to target those drop targets instead of just hitting the same "flashing <Enter Color> shots". Also, I only know of Deadpool from the movies and not the comics nor video games. Is it me or would this game "feel better" if Ryan Reynolds would have been better voice to use? It's a shame the NC-17/R-Rated version of deadpool was passed. That would make me really LOVE this machine. Think about the satire callouts that could have been added!! Overall, I have changed my decision on Deadpool for the better. Might pick one up in the future. Sure, I didn't really like it when it came out, now I do, great ruleset. And the main concern many of us had - that you wouldn't be able to make that lock shot after a while - hasn't proven credible, even on location games. Guess the geometry is better than I expected! It still has a couple things I don't like - mainly dumb playfield X and Jackpot shots that are pretty much impossible to shoot on purpose. At first I did not like it, now I don’t like it even More. I’ve played 20-30 games on it and have not once enjoyed my experience. Fun fact, dead pool was the first and only game I ever paid to play and walked away from it leaving my 3rd ball in the machine... my first and second balls were pretty long. Just extremely boring. Not a fan but to each their own. The gameplay is okay. Art is awesome. I'm not surprised is a great location earner, but I wouldn't have one at home. I still think it has one of the funniest callouts I've ever heard. I put a quarter in and got, "goodbye, hard-earned money!" People here don't think it's funny because there's no foul language. So what are the things that make Deadpool great with updated code? I played a pro and premium soon after they came out. The ball struggled to get around the katana ramp on the pro. Premium played smoother but still had a bit of clunkiness. Interesting layout and playfield is a looker but can't say it clicked for me. Played through different modes and nothing stood out. Biggest takeaway was how annoying the callouts and lil deadpool were. Feel like the intent was to be obnoxious and annoying so maybe I am an old fart and don't get the humor. I liked the shots when it came out but thought it was a boring game, with the new code its one of my favorite games. All the multiballs are super fun. There are a lot of awards people dont know to go for. I love how basically everything is stackable. You can choose your own adventure in a lot of ways and even though youre playing the same 5 battles and quests, theyre always different based on what you bring into it or start during. Tons of hidden awards and bonuses and the multipliers and teamups are dope. Really really fun game now, and it might even get more fun. People complain about the katana ramp but that’s on the operator. If the operator sets it up properly, the shots fit like a tailored glove. Im considering buying an LE as im shocked theyre still available, but i actually prefer the drop targets. Big fan, great job by stern. Im hopeful that the munsters will get a huge upgrade with code updates, cause like the new deadpool it feels empty now, but im sure they’ll fine tune it as well. I got the DPLE and MunstersLE at the same time last week. Both fun pins. However, I think DPle is a better pin because the code is better. It just has that StreetFigher 90s theme to it. Love the fights between the different bosses. Maybe Cleland can make a Ryan Reynold sound mod for it? I went from thinking it was a dud to something I now look forward to playing. It's on a similar trajectory to GOTG for me. I didn't think I'd be interested in it when it was released, but recently tried a DPLE at Pinball Pete's in Ann Arbor. Both myself and a friend who was with me were really surprised by how much fun we had with it. I really like it. So much so, that I'm considering it for my next game. I've never played a pro, but I don't think I'd want to do without the ability to loop around from the left orbit up onto the katana ramp and back to the right flipper. That loop with the katana ramp mech felt really good to me, so I'm considering a premium. I was also a big fan of the early to mid 90's fighting games like Street Fighter and Mortal Kombat, so incorporating that old school video game vibe with pinball just made it a real winner in my book. It’s nice when she actually wants to play pinball together. That makes the hobby so much more enjoyable. Deadpool is one of my top pins! So fun. Played it recently and had some good fun. Mech suit multiball is a good addition to that time in the game where normally there isn't much to go for. Overall felt more polished. Had some good "kablam!" moments when hitting a super and defeating villains. Wished ninja and lil deadpool were more fun but overall thought much better of the game. Haven't reached wizard modes yet so hoping for some fun there when I do. Code can't change katana shot. Frustratingly inconsistent and clunky but thankfully worked sometimes. Yes !! me and my brother played last week and with 0.99 software in , it was awesome , last time we played was 6 months ago , was a good pin but we c'ant put our finger on what changed it so much but now it feels solid and it is now one of our favorite game . its Stern's Sleeper. Super job by Tanio Klyce on software ! even knowing it was basic early code. Code should be updated to fix flaws and bugs, not by letting your customers play beta code and fix it when they complain. There should never be anything that's "basic early code" on the market. Fully agree. But, unfortunately, it's the new Normal. Just look at the people telling everyone to calm down and wait a couple of years for the code to get better. If I was able, I'd reach through my monitor and strangle these people for a little bit to try and choke some sense into them! It continues to happen because *WE* allow it to happen. If consumers were to put down their collective foot, and refuse to buy games with unfinished code, we'd quickly see new releases with complete code. Can you think of any other product in any other market that is intentionally sold in an incomplete state, with little more than a promise that someday it will be improved upon? Yeah, I did NOT like it at all at release. Two things changed that. One, the code got a LOT better, and two I figured out that the Prem/LE shoots less clunky than the Pro. I don't know why that is, but I'm not the only one that's experienced it. So a Prem/LE with the current code is a definite recommendation from me now, which I never thought I'd say based on what was released at launch. They make us wait for Code why not simply make them wait by not buying till it's already great ? I like DeadpooL theme , but did not buy before knowing the code is really good , 7 months after release i feel it's awesome now , so i am getting one in the next weeks . A few of us were just talking about this at league. We didn’t really like it at first. But it’s growing on us. Great game. The latest code updates have made it a blast to play. The katana shot isn’t consistent, but that’s ok. When you do hit the sweet spot though it’s super rewarding. If consumers were to put down their collective foot, and refuse to buy games with unfinished code, we'd quickly see new releases with complete code. Do you even own any new games? I make sure to play them all. Haven’t found one worth owning yet. The LE I was playing is dialed in then because I had no problems making that shot. So my deadpool annoyed me a bit at first because the katana ramp would reject shots frequently. I was sent instructions to bend the rail a bit and now it shoots like butter. I recommend anyone who thinks the game is clunky to just bend that piece a bit. It is my favorite modern game now hands down. It is so damn fun. There are multiple strategies. The code is great. Also it has that amazing 90's old school arcade feel to it with the pixel graphics and old williams sound effects that just click the nostalgia button for me. 11/10 in my book. Which piece did you bend? Could you post the details? Use pliers to squeeze end of guides toward each post. If spade bolts are overtightened guides can rotate inboard and close down the exit. This causes rattles & also alters aim of shot. You may have to loosen 2 spade bolts near end of guides slightly- squeeze then just snug spade bolt. Make sure guides are clean and try not to scar the guides with pliers. Those instructions are from Stern. Game played 100% better afterwards. I call them as I see them, honestly I didn’t really like the game when it first came out but as the code progressed and I got some more time to play on it, it’s really become a fantastic playing game. Tanio on lead code with a group of talented coders helping it’s become great. I am probably looking at buying a game in the near future for sure. Just not sure on pro or premium.